The African Population and Health Research Center (APHRC) in Kenya and the Eko-Konnect Research and Education Initiative in Nigeria are among the very first organizations in Africa to begin use of DataCite Digital Object Identifier (DOI) prefixes. The partnership with the Sci-GaIA project and the Conference of Italian University Rectors will help the research organizations generate persistent identifiers for their datasets: essentially long-lasting references that will help locate the datasets no matter where they appear online. It is also another step to realize a global data revolution – ensuring that research data are open, discoverable, navigable, machine readable, and open to being tested for replicability and reusability. As a result of this partnership, the African organizations can create an unlimited number of sub-prefixes from their institutional prefix and, for each sub-prefix, an unlimited number of DOIs for their knowledge repositories. It is hoped that this will boost the promotion of e-Infrastructures in Africa and the deployment of key services such as Open Access document and data repositories, which can make scientific products (papers, reports, datasets, etc.) stored in African digital repositories more easily citable and discoverable, worldwide. “All this has been done as part of the Sci-GaIA project activity to make African science and African scientists more visible,” said Prof Roberto Barbera of the University of Catania, Italy, Technical Coordinator of the Sci-GaIA project. He continued, “Indeed, research outputs, such as papers, reports, datasets, etc. tagged with DataCite DOIs, can be manually or automatically linked to the ORCID profiles of their authors thus increasing their list of publications both in term of quantity and diversity. ORCID profiles can in turn be connected to tools like Altmetric or Impactstory to quantitatively show the immediate impact of research made in Africa“. “APHRC generates and posts online hundreds of open access publications each year, and these DOI prefixes and sub-prefixes give us important avenues for tracking these resources. This partnership contributes to APHRC’s vision to be at the forefront of the Data Revolution for Africa and positions the Center as a credible source of data for development”, said Dr Catherine Kyobutungi, APHRC’s Director of Research. She continued, “We believe that the work of African researchers has been under-represented in development discourse. This is a step in the right direction. Data should be made available in a timely manner and in user-friendly formats. Our quest for enhancing data discoverability is on”. 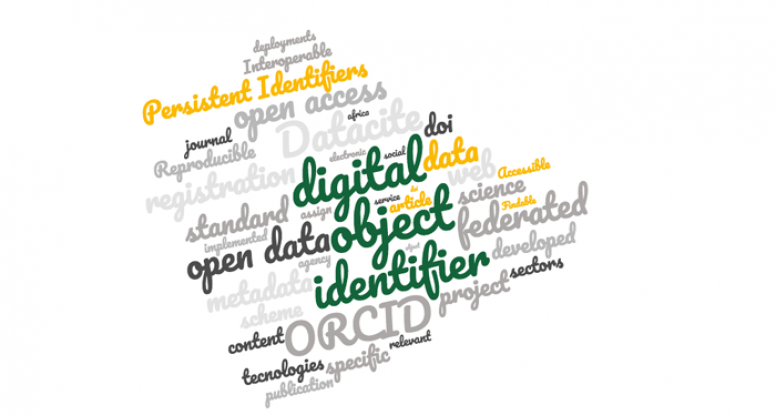 APHRC’s use of persistent identifiers complements the aims of its microdata portal. Launched in 2013, the portal is a web-based platform designed to share metadata and research materials from studies that have been conducted by the Center since it became an independent institution in 2001. “We became aware of DOI and its usefulness for managing digital content online during a recent e-research hackfest held in Lagos, Nigeria. Our researchers at this event were introduced to DOI and how DOI prefixes can be used to manage research applications and other digital content and assets. There was an immediate request by researchers to obtain DOI prefixes for their institutions. Eko-Konnect will be promoting the use of DOI within the Nigerian research and education community in all subsequent workshops, seminars and wider activities. We anticipate high uptake of DOI prefixes among our institutions in the coming months”, said Mr Owen Iyoha, General Manager of Eko-Konnect in Nigeria. “The Conference of Italian University Rectors (CRUI) joined DataCite as one of its members in September 2012”, said Prof Roberto Delle Donne of the University of Naples “Federico II”, Italy, Scientific Coordinator of the DOI Project at CRUI, “in order to allow Italian universities and research centres to assign persistent identifiers to their datasets and open access publications. At international level, we take part in the build-up of a global infrastructure that supports simple and effective methods of data citation, discovery, and access. In this perspective, we are very pleased to foster the growth of Open Science in Africa”.